The tour represents more than just an expansive retail campaign across the second-largest state in America. It also marks a dramatic deviation from the political playbook employed by the majority of Texas Democrats over the last two decades. "Our campaign is based not on an arbitrary travel data point like our opponent's, but on a vision and message that we believe Texans desire and want to see from their leaders," said Catherine Frazier, a spokeswoman for Cruz. “This country was not built on fear. 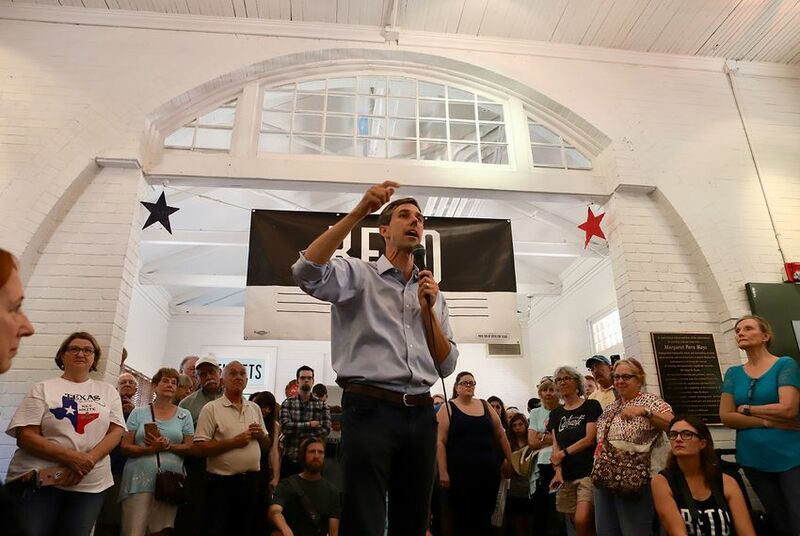 This country was built on courage,” O’Rourke said, invoking Truman's famous words. Supporters acknowledge that O’Rourke remains a long-shot candidate, even in a political climate that might be favorable to Trump’s opponents. A Democrat has not won statewide office in Texas in nearly a quarter-century. Despite O'Rourke's recent fundraising success, Jones cautioned, the candidate will have to accumulate significantly more money to compete with Cruz in November. And his campaign is unlikely to receive much financial support from the national party, which has prioritized a handful of Senate races in places where Democrats are more likely to succeed and statewide races are less expensive to run. In 1995, he published a book about his 254-county tour, “Courtin’ Texas: One Candidate's Travels Through Texas’ 254 Counties & Their Courthouses,” which documents 18 months of grueling travel along the state’s highways — a physically taxing road trip, even for a candidate with four marathons under his belt.